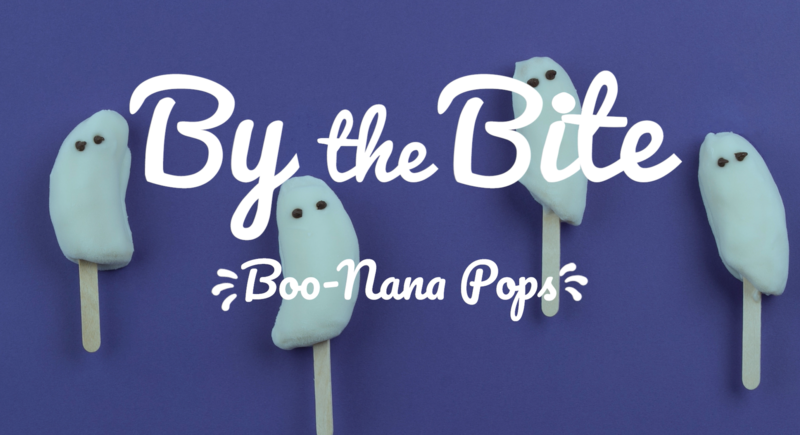 This is not a trick—Boo-Nana Pops are both healthy and a treat. Fruit can be a great way to satisfy your sugar cravings while staying on a limited processed food diet recommended by MS specialists. Unlike some Halloween sweets, these Boo-Nana Pops include fiber, potassium, protein, and calcium from the banana and yogurt. The National MS Society says that a well-balanced diet is important for people with relapsing MS. This is a fun and easy way to introduce healthy alternatives into your diet. As always, be sure to talk to your healthcare provider before making any changes to your diet. These treats are easy to create and will be sure to impress at Halloween parties. Encourage healthy eating by making these with your friends and family as a fun activity. Peel the bananas and cut them in half at an angle. Insert a popsicle stick about halfway into the flat end of each banana. Pour the yogurt into a tall cup. Dip each banana into the cup of yogurt, covering the entire banana. Set the coated bananas on the baking sheet. Place two mini chocolate chips on each banana to create eyes. Put the baking sheet in a freezer for at least 3 hours. Best when the bananas are served frozen! If these Boo-Nana Pops didn’t scare away your sweet tooth, then be sure to check out our other quick and easy chocolate desserts. Tell us about your favorite healthy holiday treats in the comments below. We may feature your recipe in a future blog post or on the Lift MS® Facebook page. Your healthy lifestyle could be more manageable with food tips from By the Bite. Sign up for emails to receive more blog posts!